Vision must be followed by the venture. 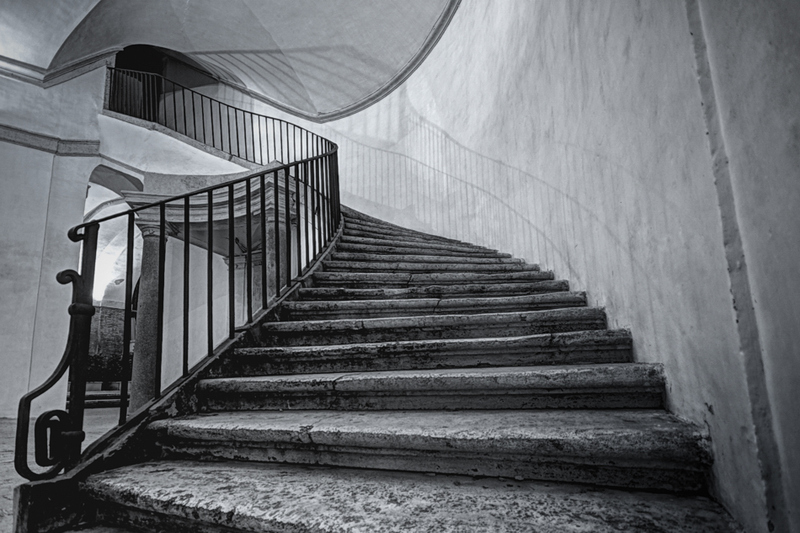 It is not enough to stare up the steps – we must ascend the stairs! Often there are times when we feel that we are spinning our wheels in terms of our progress. This can be especially true following a period of major growth in which we feel as if we’ve gained a lot of ground. In fact, this is the way growth goes—periods of intense forward movement give way to periods of what seems like stagnation. In those moments when we feel discouraged, it’s helpful to remember that we don’t ever really go backward. It may be that we are at a standstill because there is a new obstacle in our paths, or a new layer to get through, but the hard work we have done cannot be undone. Every step on the path is meaningful, and even one that seems to take us backward is a forward step in the sense that it is what we must do to move to the next level. 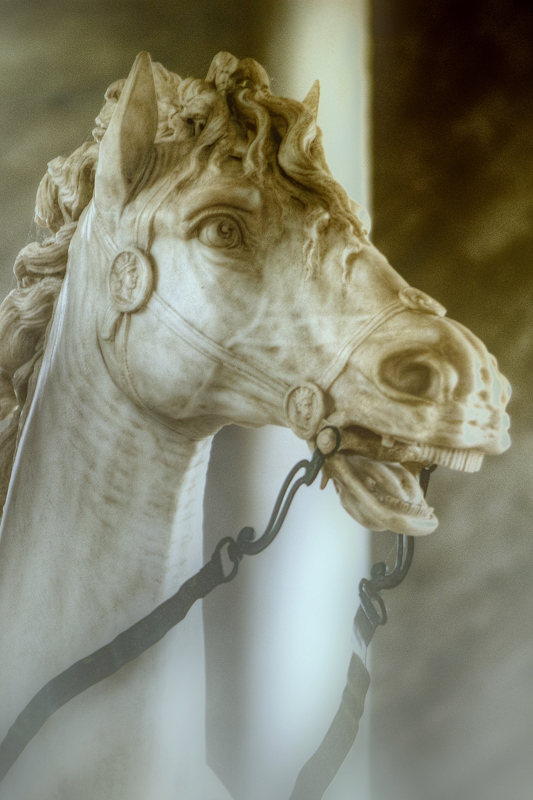 This image is from the Barberini Museum in Rome, Italy. This was shot at night very soon before the gates of the grounds closed for the evening. Using a tripod to stabilize the camera, several exposure were taken to compensate for the hard lighting conditions. Luckily, we did not need to elude the No-Tripod Police of Rome as we were seemingly the only ones there. I don’t know where this guy came from, but he jumped right into the frame as I was composing this shot of The Brooklyn Bridge! Folks in Brooklyn are aggressive! 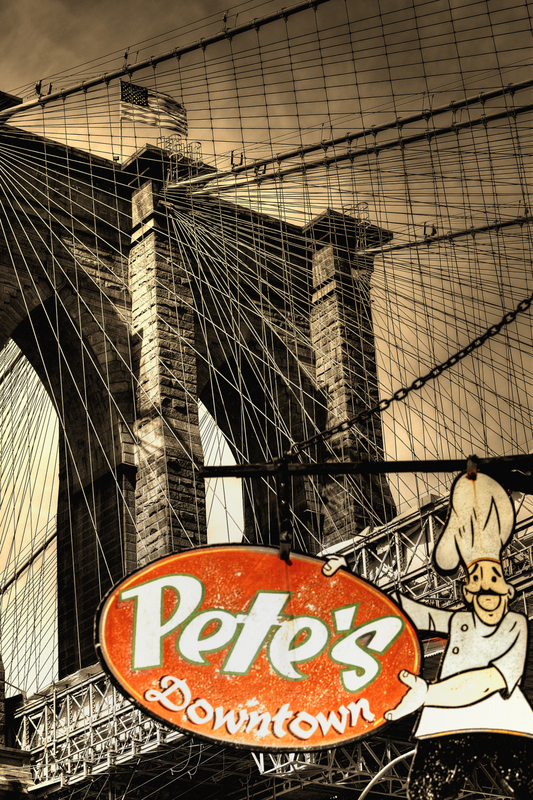 Pete’s is a landmark restaurant for four generations of service since 1894. They offer exceptional Italian fare and warm service. Located in Brooklyn along the East River, it has one of the most spectacular views of the Manhattan skyline. The first generation restaurateur was the owner’s great grandfather Dominick Servino. He started out at 289 Hudson Ave, Brooklyn. The second restaurateur Peter Della Rocca married the daughter of Dominick Servino, Rachel. He opened his first restaurant on York Street and then later moved to 328 Myrtle Ave and Carlton. That restaurant has remained a popular eatery for 60 years. This shot was taken during our walk from Brooklyn to Manhattan after the BEST Pizza ever at Grimaldi’s. Ok, here’s the story! 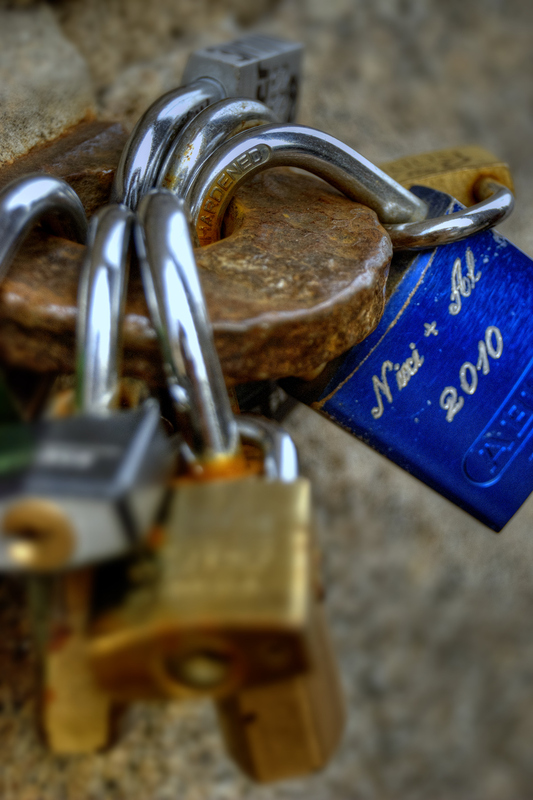 A pop cultural phenomenon that has turned an Italian bridge into a locksmith’s paradise has jumped across the Atlantic and is threatening to cover the Brooklyn Bridge in lovers’ padlocks. The tradition of securing a symbol of amore to a bridge — and tossing the keys into the river below — dates back to a 1992 book by sugary Italian novelist Federico Moccia, but the tradition didn’t take off until the movie version of “Tre Metri Sopra il Cielo” came out in 2004. That’s when Roman authorities suddenly had to deal with thousands of lovers clipping all manner of Master, Kryptonite and Medco locks to the Ponte Milvio — and throwing the keys into the muddy Tiber. Well, guess what, Brooklynites: the tradition is here!